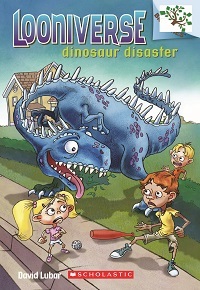 Dinosaur Disaster is the third book in the early chapter-book series, Looniverse. Ed loves dinosaurs. But when he goes to an exhibit of giant robot dinosaurs, he never expects his magic powers will give him a close encounter with a living, breathing one.